A cappella quartet singing may not be nearly as widespread in today’s gospel music market as it once was, but it hasn’t gone away completely. For nearly half a century, the Mighty Gospel Inspirations of Durham, North Carolina, have kept the tradition alive. The biracial group’s 2009 release, In Black and White, is a sampling of their harmonistic approach. Representing the quartet on the album are brothers Mike and Ken Sanders, Larry Perry, James Bailey, and Robert Waldrop. In Black and White sounds like someone turned a tape recorder on and recorded an informal basement rehearsal. A member of the group introduces each song with a brief narrative and the group commences the harmonizing. The rhythm consists of the voices’ natural percussion and occasional handclaps. “Glory, Glory,” the opening track, is a medley of congregational singalong favorites linked together by their similar melodies and structures. 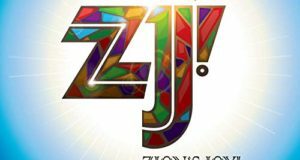 “Swing Low Sweet Chariot” is an uncommonly up-tempo rendition of the spiritual that includes a line about unity and brotherhood. Inspired by a Jim Valvano axiom, “Don’t Give Up” may be the first time in gospel quartet history that the storied men’s basketball coach from North Carolina State University is invoked in a lyric. “Precious Lord” features what is rare as hen’s teeth today: a lead turn by the bass singer. Its cheery message and old school vamp make “So Glad I’m Here” the album’s prime cut. It’s the type of song that you can imagine the Mighty Gospel Inspirations use for their A selection. Stripped of instrumentation, a quartet can either sing or it can’t. 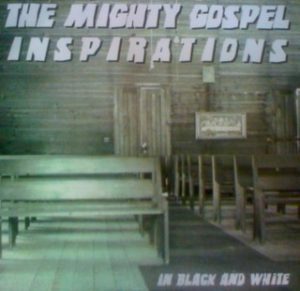 The Mighty Gospel Inspirations, from the quartet-loving Carolinas, prove on In Black and White that they can sing.